Phuket Island is located in the Andaman Sea in the south-west of Thailand. Countless magical islands boasting a tropical landscape surrounded by untold secluded beaches with the clearest bluest waters, this and lots more is what you can expect on a Sailing vacation in Thailand. Phang Nga Bay will draw instant memories to the oldies and goldies, especially James Bond fans, a setting that inspired the producers of &ldquo;The Man with the Golden Gun&rdquo; and more recently shot in &ldquo;The Beach&rdquo; starring Leonardo DiCaprio. &nbsp; All necessary information Where you surf Phuket, Adaman Sea With whom Women, men and children of all ages Embarkation and disembarkation Phuket Experience required? All teams will be coordinated by a skipper When it takes place The whole year Cost of participation&nbsp;&nbsp;&nbsp;&nbsp;&nbsp;&nbsp; From &euro; 1260,00 per person for the entire period &nbsp; The Yacht Your cruise will be on board of a magnificent Poncin 82, a 24 meters catamaran with 8 double cabins, each with its own private bathroom. The yacht is equipped with air conditioning, watermaker and generator, for the maximum comfort. The professional crew will include a skipper, hostess and cook; allowing you to conquer the endless opportunities in paradise, take care of the provisioning, create delicious meals and ensure your on board experience will be memorable. &nbsp; Cruise program * Day 1 Arrival in Phuket International Airport. Transfer from the Airport to the Yacht Haven Marina less than 30 minutes, located in the northern part of the island. This unique town will mark your first impressions in paradise, ranging from Buddhist temples to&nbsp;picturesque villages with exotic vegetation. Embarkation: 5pm - 8pm. Day 2 After a traditional breakfast sail through Koh Hong. 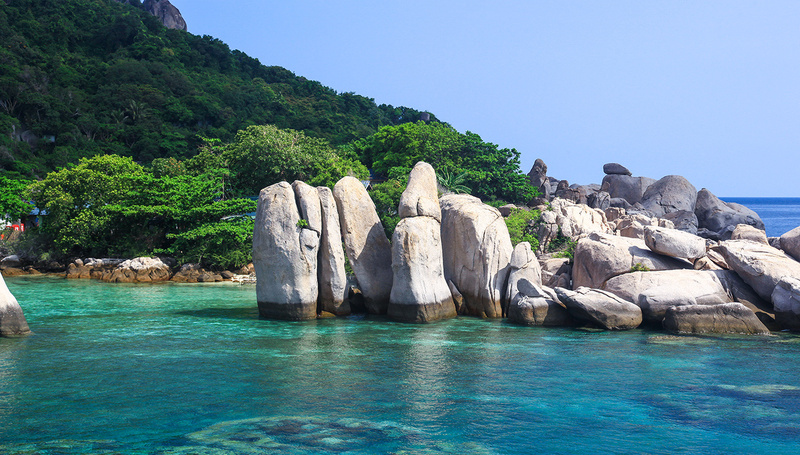 After a light lunch continue to Koh Kai Nai and visit the commonly known &quot;James Bond Island&quot; Koh Phing Kan and Koh Pan Yi. Day 3 Set sails to Ao Thalin, where you may choose to continue your adventure on a kayak exploring the Mangrove area that provides both food and shelter for many living organisms. Dinner will be served on board and the night will end surrounding the panoramic views of the Pak Bia Group. Day 4 Wake up in the morning to the breathtaking views. After breakfast head towards Koh Hong East (name derives from the long internal shaped lagoon) where we will enjoy the time&nbsp;being at one with a&nbsp;rare paradise. Following lunch, we sail to Ao Nang, here we will stop for an elephant trek in the jungle and we are promised to see birds and monkeys. After your brave and exciting trek on an elephant, we will pamper you with a massage. We set our sails again, off to Dam Kai. Snorkelling and swimming in a spectacular aquarium. Day 5 After breakfast, we will navigate towards Hoh Phi Phi, with a stop at the Bambnoo Island Koh Mai Pai. Have lunch at Koh Phi Phi Don, take a dive into the water and cherish the moment with amazing sea life, afterwards you can sunbathe and relax on one of the pristine beaches the world has to offer. Sunset, dinner and overnight at Nui Bay. Day 6 Sail to Koh Phi Phi Ley, an island guarded by towering cliffs and discover of the places where &quot;The Beach&quot; was shot across Maya Bay. If you love snokelling, do not miss out on the golden opportunity to swim in the crystal clear waters, here&nbsp;the coral reefs are&nbsp;filled with the world&#39;s most beautiful sea life. 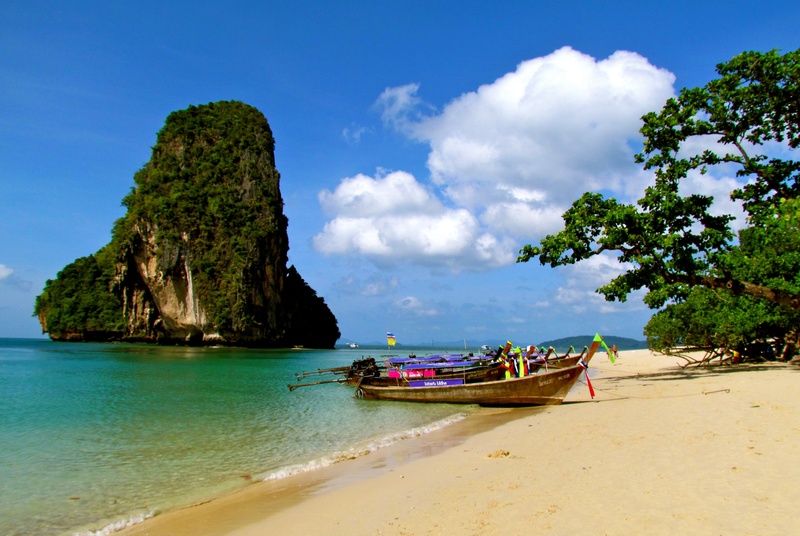 We will return&nbsp;to Koh Phi Phi Don and spend some time exploring the island. Day 7 We set off to Koh Kai Nai. In the afternoon we set our sails towards Koh Lawa, here we will take advantage of our last outing where you will be able to snorkel, swim and hike on the island. We look forward to entertaining you at a Beach Barbecue. Day 8 Disembark at Yacht Haven Marina at 9h00&nbsp; &nbsp; * The programme is indicative and may undergo some changes due to adverse weather.&nbsp; &nbsp; Flights You can purchase your own flights or contact&nbsp;Sailogy.com to&nbsp;help you select&nbsp;the most convenient flight connections. Availability and prices will be checked at the time of the request. &nbsp; Participation fees (2016) Period Price per person in a couple Price per person single From 16/01 till 23/04 1260 &euro; 1764 &euro; From 23/04 till 30/04 1050 &euro; 1470 &euro; From 30/04 till 11/06 950 &euro;&nbsp; 1330 &euro; From 11/06 till 02/07 900 &euro; 1260 &euro; From 02/07 till 30/07 950 &euro; 1330 &euro; From 30/07 till 20/08 1135 &euro; 1589 &euro; From 20/08 till 29/10 900 &euro; 1260 &euro; From 05/11 till 12/11 1080 &euro; 1512 &euro; From 12/11 till 10/12 1260 &euro; 1764 &euro; From 10/12 till 17/12 950 &euro; 1330 &euro; From 17/12 till 24/12 1250 &euro; 1764 &euro; From 24/12 till 31/12 1350 &euro; 1890 &euro; From 31/12 till 07/01 1500 &euro; 2100 &euro; ​ The price includes: Accomodation in double air-conditioned standard or superior cabin with private bathroom Full board (breakfast, lunch, dinner) Service of the crew: 3 persons (Captain, steward/cook, deckhand) 2 sets of linen, bath towels and beach towels per person per week Consumables for the yacht (diesel, fuel and water) Insurance for the yacht and the passengers Water sports on board (snorkelling equipment and sea kayak) &nbsp; The price does not include: Airfares Transfers airport-base-airport (optional): 28 &euro; one way per person Soft and alcoholic beverages Cash Box (mandatory): 155 &euro; per person per cruise, payable on spot upon arrival Excursion package (optional): 135 &euro; per person payable upon booking or on spot. 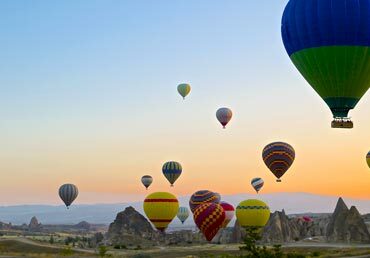 It includes: &quot;Long Tail Boat&quot; tour to James Bond Island and Gipsy Village, Kayak ride, Elephant trek, Massage, Barbecue on the beach. &nbsp; Payment methods: In order to guarantee your cabin charter, we require a&nbsp;50% advance booking of the participation fee. The outstanding balance must be paid off 45 days prior to the departure date. Phuket Island is located in the Andaman Sea in the south-west of Thailand. Countless magical islands boasting a tropical landscape surrounded by untold secluded beaches with the clearest bluest waters, this and lots more is what you can expect on a Sailing vacation in Thailand. Phang Nga Bay will draw instant memories to the oldies and goldies, especially James Bond fans, a setting that inspired the producers of “The Man with the Golden Gun” and more recently shot in “The Beach” starring Leonardo DiCaprio. Arrival in Phuket International Airport. Transfer from the Airport to the Yacht Haven Marina less than 30 minutes, located in the northern part of the island. This unique town will mark your first impressions in paradise, ranging from Buddhist temples to picturesque villages with exotic vegetation. Embarkation: 5pm - 8pm. After a traditional breakfast sail through Koh Hong. After a light lunch continue to Koh Kai Nai and visit the commonly known "James Bond Island" Koh Phing Kan and Koh Pan Yi. Set sails to Ao Thalin, where you may choose to continue your adventure on a kayak exploring the Mangrove area that provides both food and shelter for many living organisms. Dinner will be served on board and the night will end surrounding the panoramic views of the Pak Bia Group. Wake up in the morning to the breathtaking views. After breakfast head towards Koh Hong East (name derives from the long internal shaped lagoon) where we will enjoy the time being at one with a rare paradise. Following lunch, we sail to Ao Nang, here we will stop for an elephant trek in the jungle and we are promised to see birds and monkeys. After your brave and exciting trek on an elephant, we will pamper you with a massage. We set our sails again, off to Dam Kai. Snorkelling and swimming in a spectacular aquarium. Day 5 After breakfast, we will navigate towards Hoh Phi Phi, with a stop at the Bambnoo Island Koh Mai Pai. Have lunch at Koh Phi Phi Don, take a dive into the water and cherish the moment with amazing sea life, afterwards you can sunbathe and relax on one of the pristine beaches the world has to offer. Sunset, dinner and overnight at Nui Bay. 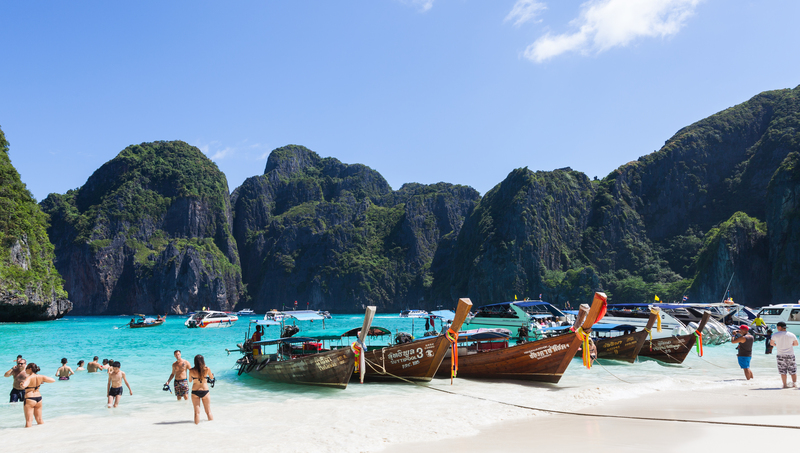 Sail to Koh Phi Phi Ley, an island guarded by towering cliffs and discover of the places where "The Beach" was shot across Maya Bay. If you love snokelling, do not miss out on the golden opportunity to swim in the crystal clear waters, here the coral reefs are filled with the world's most beautiful sea life. 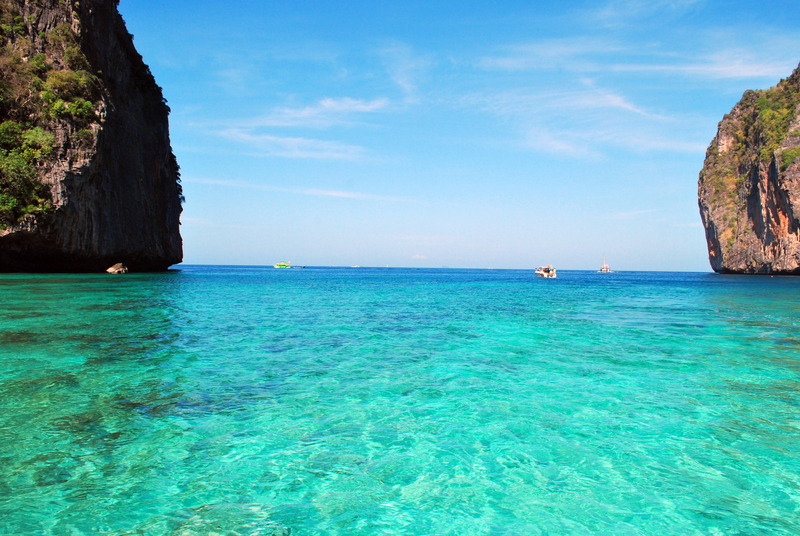 We will return to Koh Phi Phi Don and spend some time exploring the island. Day 7 We set off to Koh Kai Nai. In the afternoon we set our sails towards Koh Lawa, here we will take advantage of our last outing where you will be able to snorkel, swim and hike on the island. We look forward to entertaining you at a Beach Barbecue. Excursion package (optional): 135 € per person payable upon booking or on spot. It includes: "Long Tail Boat" tour to James Bond Island and Gipsy Village, Kayak ride, Elephant trek, Massage, Barbecue on the beach.